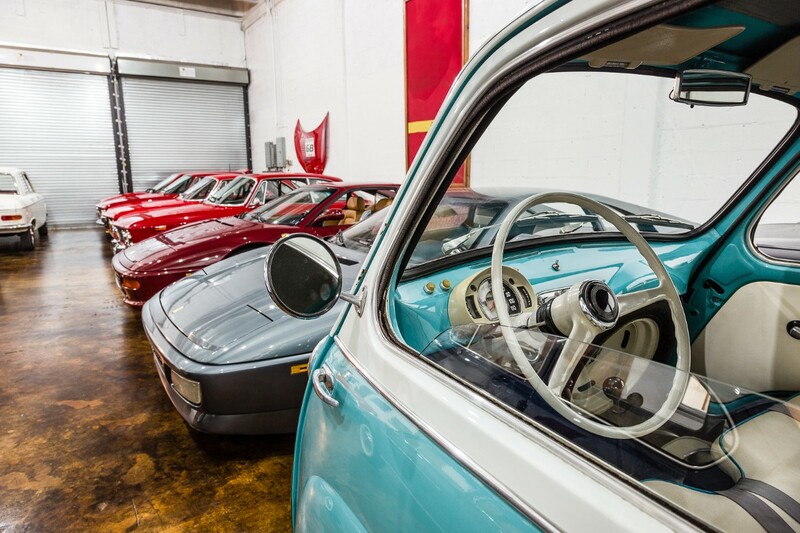 Though it hasn’t always been that way for The Barn Miami, an online auto boutique specializing in collector vehicles ranging from antiques to exotics located in Miami. When The Barn Miami became official in May 2013, Gaston had never worked at a classic car or specialty car dealer. To fully dedicate himself to his new venture, he resigned from his corporate job. What he did have was an unbridled passion for cars and a few years of buying and selling cars on his own for fun. He also had an inventory that consisted of three vehicles, but no space to store them. This, however, changed over time. “Slowly with much work and dedication we have managed to grow with an average inventory of 30 cars ranging from American and European classics to modern exotics,” Gaston told My Classic Garage. The Barn Miami currently has 20 vehicles in their inventory, which does not include what Gaston refers to as “The Reserve” (their personal collection). But the cars in “The Reserve” do come available from time to time. According to Gaston, one of the featured cars currently available for purchase is a 1991 Ferrari Testarossa. The Barn Miami prides themselves on being a boutique shop. More than the size of the facility or the number of cars, they prefer to grow their reputation as a trusted specialty car source. One of the tools they use to spread the word about who they are and what they can offer is social media. While many businesses choose to use their various social media channels to push sales and promote products, The Barn Miami uses them to entertain. This has allowed them to introduce themselves to the world and truly build their brand organically. Additionally, social media has allowed them to meet so many great friends, car enthusiasts, collectors, other specialty car dealers, providers, vendors and even clients. In September 2017, Hurricane Irma bore down on Florida, including Miami. Fortunately, The Barn Miami had a plan in place to weather the storm. “Our facility is a closed-off fully concrete building. We feel there couldn’t have been a safer place for our cars, so we crammed all the cars we could under this one roof and every car was covered with car covers to prevent any possible damage from debris coming in from the vents on the roof,” stated Gaston. As The Barn Miami continues to grow, their passion will continue to show in everything they do. It is this undying passion that will keep their story moving forward.